At T4G, we’re developers, marketers, and analysts who spend a lot of time staring at screens. So we jump at any chance we get to step away from the blue light and sit down with the printed word. This week, we asked our colleagues to tell us what book has most impacted the way they approach their work, what they learned from it, and to whom they’d recommend it. The answers we got back ranged from technical tutorials to novels in translation. See the titles we’ve picked, then tell us on Twitter (@T4G) what book has influenced your professional life. And maybe you’ll find something on this list that changes the way you work. When I was 15, this book led me to a career in advertising. I would recommend it to anyone in marketing and business. Even though it was written in 1985, before the internet and digital took over everything, the themes are still relevant today. A book about coping more effectively with the complexity and pace of change we experience in our daily work lives through improvisation, collaboration, and effective teamwork. It’s helped shape my approach to creating an environment of trust and mutual dependency with my work colleagues. A colleague gave me this book several years ago and it’s been a favourite of mine since. There is a high level of creativity needed to create compelling social media content, come up with the ‘next big thing’ to capture the attention of social media users, stay ahead of the pack, and so on – but it doesn’t mean you have to reinvent the wheel to be successful at it. Being original is overrated (and impossible). This book is all about ‘stealing with integrity’ and excelling at being unoriginal. It’s a quick, interesting read I’ve referred to again and again that’s helped me pay closer attention to what other brands are doing creatively and broaden my own creativity at work. It’s also snuffed out the pressure to be original – and that’s ok! 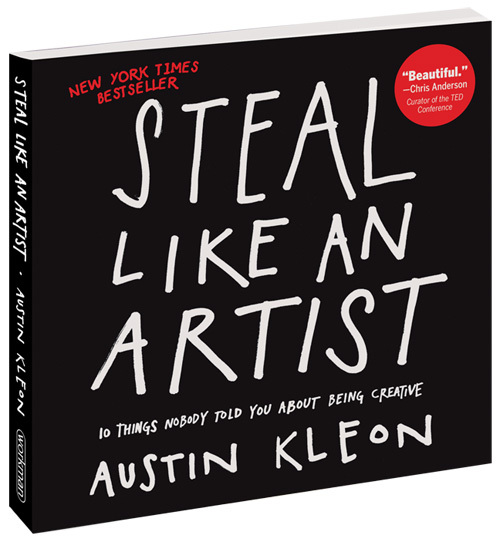 I would recommend Steal Like an Artist to anyone with a desire to become more creative or who wants to hit the reset button on their own creativity. Anyone can benefit from Austin’s insights and his entertaining, relatable way of delivering them on the page. 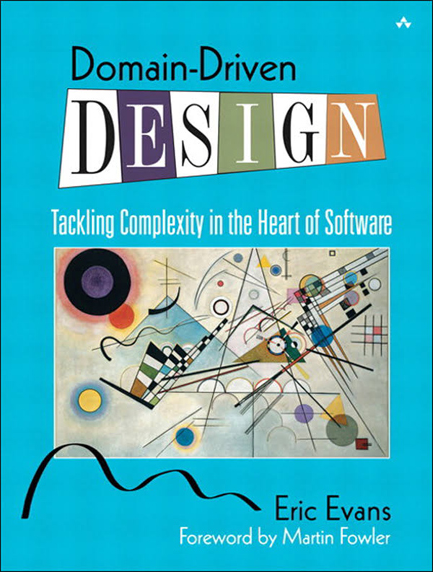 Evans changed the field of enterprise software architecture more than anyone in the past 25 years. Domain-driven design means making the customer’s domain – their actual business entities and procedures – the primary consideration when designing a system. Evans popularized the idea of ubiquitous language: the customer’s specific terminology as it applies to their specific business context. For example, all member of a project team talk about “routes, vehicles and shipments” rather than the traditional IT terms such as “records, fields and classes”. It also teaches concepts such as supple design: understanding and then implementing in a model the unique, initially obscure details that are crucial to creating working software that fully meets the customer’s needs. This book has deeply influenced a generation of architects, including at the largest firms like Microsoft and Google. I’d recommend it to anyone involved in the creation of enterprise software – from product owners to developers to UX people. It is especially relevant to enterprise application software architects. I saw Avinash Kaushik speak at an event which is why I purchased the book. He’s got a really good sense of humor that shows up in his writing. Analytics and statistics can seem tedious and serious but he has a way of using real life situations to make reading about it enjoyable and help it make sense. Although some of the technical details in the book now may be dated, the concepts still apply. I’d recommend this book to anyone who has a website, or any online presence, really, who wants to learn more about what they should be measuring and why. From this book, I’ve learned how to use and benefit from Test Driven Development, how to use GIT, strengthened my web development skills and gained insight into general software development good practices. I would recommend this book to any developer, even if they don’t work with Rails. It contains extremely valuable information for building software using any technology. 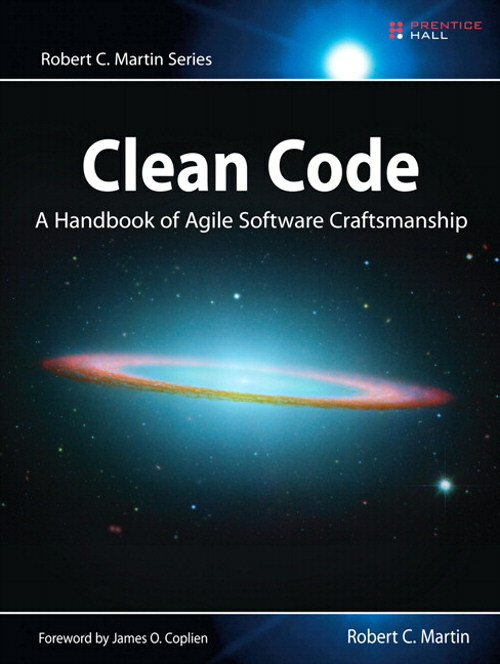 This book helped me organize and maintain my code in a much cleaner way. Post-secondary education generally focuses more on “making code work” and less on “creating easily maintainable code”. This book fills that gap, regardless of the programming language the reader will be using. Developers with less experience (i.e. graduated from post-secondary within the last year), co-op students, or self-taught developers who haven’t had the chance to receive any code mentoring from a more experienced developer would benefit from this book. It’s well written, entertaining, and even humorous at times. Experienced developers may also be able to learn something new from it if they give it a chance. This book really made me think before multi-tasking, and made me aware of giving my full attention to the meeting I’m in or the person I’m with. I learned that multi-tasking is not a reality and switch-tasking wastes a lot of time! Who would I recommend this book to? Everyone!! Brian: I learned that “why” we do it is more important than “what” we do. As consultants, we are (typically) there to help clients solve a problem they otherwise could not. Maintaining focus on “the why” ensures we don’t get caught up in the “what” and lose sight of the reason we took action in the first place. This book is for anyone looking for exercises or a model to help them find their source of inspiration or motivation. Some of the examples presented in this book are particularly applicable to people in sales or marketing. How has this book influenced me? Before, I had have never really used our everyday life as examples of math. This is a great read that helped me realize that human decisions can, in fact, be illustrated with math. Who would I recommend it to? Anyone with a passing interest in analytical problems, very easy read and interesting with stories we can all (most!) relate to. 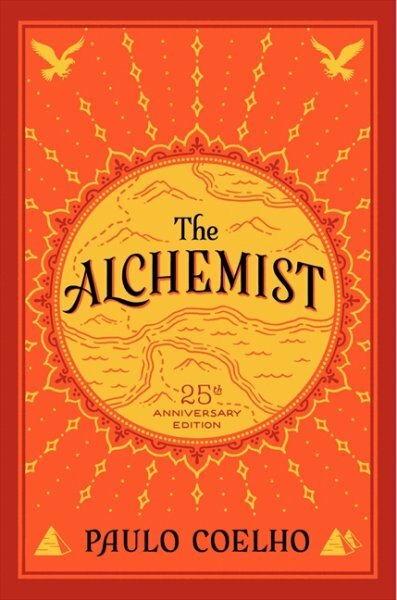 This book has influenced me in a few ways, the biggest probably being the importance of trusting your intuition as you set sail on your path, and focusing on your own journey – to know adversity is a commonality among us all and we all have a battle of our own. It is reminds me to embrace the present moment and relish the happiness it brings. Change is the constant in our world, and this book reminds me of the importance of enjoying the moment while you have it. This book has influenced my work by really helping me validate the importance of ensuring my heart is in the game and I’m passionate about the work I do. Anyone with an open mind should read this book! I’d recommend this book to anyone for both personal and professional development. It exposes the notion of fear and how crippling it can be in decision making and how the onus is really on you to keep striving. This is one of the first books I read in my university days on understanding people. It marked the beginning of the road to understanding people, myself, and ultimately healthier emotional intelligence. This book is great for everyone, but especially those starting out their careers as well as individuals who have difficulties connecting with people. I couldn’t pick just one! Essentialism taught me prioritization and how mono-tasking is much more powerful than multi-tasking. It’s a must for people who feel they are stretched too thin and tend to say yes to everything. Eat That Frog taught me great time management skills ideas and how to get the big yucky stuff that we tend to put off done first. Everyone should read this book! These tactics apply to all of us – we all have to do lists! 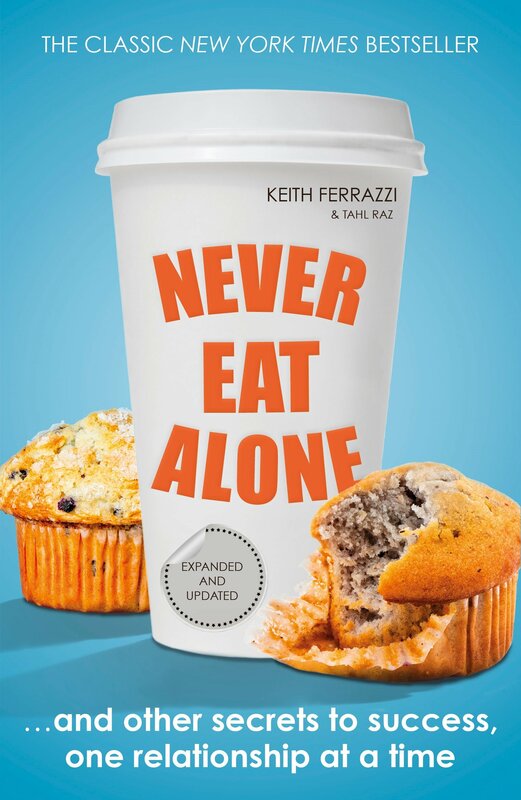 I wouldn’t say the book has necessarily influenced me, but it more-so justified my stance on the importance of getting out there and meeting people, and how successful business relationships are built on who you know, and your interaction with them. I think it’s a great book for a younger audience, who don’t realize the importance of networking (not just from behind a digital device). It’s a great book for introverted individuals (like myself) as it gives you tips on being an effective communicator. This book was very helpful the last few months of my degree and my first year working full time. It had a lot of great advice for everything from handling confrontations at work, salary negotiations, the work “ladder” and lots more. It also inspired me to keep up with what I was doing and not be intimidated. I’d recommend this to new grads, whether they identify as a woman or not, even though it has parts specifically directed towards women in tech. This particular version of Lean In has extra chapters directed to new grads. 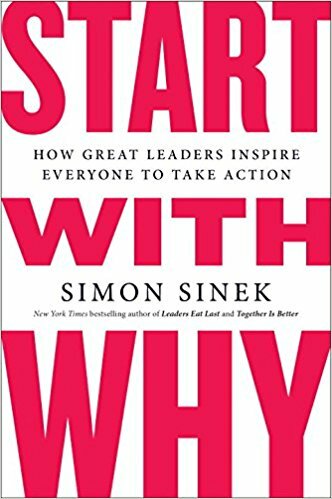 There are lots of books out there about leadership generally, leadership styles, how to be a better leader, etc., but this one really resonated with me. It offers not just a theory about authentic leadership, but also provides a practical “this is how you do it” approach for understanding the blend of authenticity and core purpose (or your True North, as Bill George puts it). Although the personal stories presented are celebrity-type leaders (think Warren Buffet), they are presented in an approachable and revealing way that is relatable (especially in context of the book). I learned what my core purpose as a leader is from this book, and it changed my life. I recommend it to anyone that wants to grow as a leader, but have some level of discomfort with their own ability to lead today, or for individuals that are in a certain leadership capacity today but worry that they do not have the skills to take on advanced leadership roles later. I’d recommend this book to anyone who wants to manage a team or a company more effectively. As a content strategist with T4G Kick, Lily works with clients to make sure their customers get the right content at the right time in the right way. When she’s not using content strategy to make the web a better place, Lily can be found cooking and watching British murder mysteries on Netflix (often at the same time). Lily feels she didn’t write this article so much as she tricked her colleagues into writing it for her.